Support: Chris Mahoney supported by Jodie and their children at St Mary MacKillop Parish, Birkdale. “THANK you, thank you everyone,” was the cry from Chris Mahoney, a Brisbane father of four, just before he gowned-up to undergo robotic heart surgery. “Isn’t it funny how seemingly unrelated events can come together to deliver a truly miraculous outcome,” he said. Medibank Private will now cover the majority of the cost of Mr Mahoney’s life-saving heart operation in Melbourne today. The remarkable turnaround happened after his cousin dropped in on her health fund, Medibank Private, to discuss an unrelated issue with her daughter. While there, she asked if she was covered for heart surgery. She was told that she was covered and then the branch manager inquired “why she had asked”. “Well, Jennifer proceeded to tell her about my dilemma and she was shocked. She asked if I could give her a call,” Mr Mahoney said. Mr Mahoney said after going through the details, it seemed the gap had been reduced from a minimum of $37K out of pocket expense with his NIB insurance to $10,000 with Medibank Private. “Amazing and enormously appreciated,” he said. Mr Mahoney thanked all his supporters and friends who had been praying and helping him and his family. “It wouldn’t have been possible without all of you,” he said. “Your thoughts and your prayers have been a key contributor to this turnaround and we cannot thank you all enough. Mr Mahoney will be out of action for a few days post surgery. “ Well, that is it for me for a day or so I think. Surgery then ICU for a couple of days … getting nervous now,” he said. He said it was disappointing the NIB had ignored 25,000 Australians who agreed that their behaviour was appalling. “The petition and its signatures meant nothing,” he said. CHRIS Mahoney is grateful for the power of prayer and public generosity after learning he had a life-threatening heart condition requiring immediate surgery. The struggle facing the Brisbane bayside 47-year-old father-of-four and parish councillor at St Mary MacKillop Parish, Birkdale, has been made even tougher because of a frustrating battle with his health insurer. Mr Mahoney has a prolapsing mitral valve – which prevents sufficient oxygen entering his heart from his lungs. “I am only getting 40 per cent of the oxygen I need every heartbeat,” he said. Mr Mahoney was preparing for surgery last week, but not before having his health woes compounded after he contacted his health insurer, NIB. The insurer told him his surgery would only be fully covered within the public system and with a long wait involved. 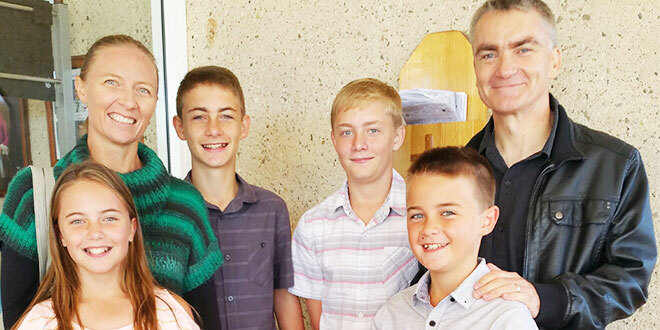 It was disappointing news for Mr Mahoney who joined NIB more than eight years ago with family cover for himself, his wife Jodie and their four children. “They told me my plan is no longer offered, and it won’t cover me in a private hospital,” he said. “When I inquired as to what the current plans covered, they told me that if I was on any of their current plans, I would be covered. “I asked for a quote for the current equivalent plan, and it was $130 a month cheaper than what we are currently paying. “The problem is, I would have to serve a twelve-month waiting period, and my heart can’t wait twelve months. “I was told this waiting period was mandated under law, but it isn’t. It is at the discretion of the health fund. “When I challenged them, they agreed that I was correct, but the fund had decided to make that commercial decision in case someone joined for the purpose of major surgery, only to leave soon after. “I reminded them that I had been with them for eight years and was hardly just joining them to leave after the surgery, but I was told there was no circumstance by which they would cover me. Frustrated customer: Chris Mahoney before travelling to Melbourne for heart surgery. 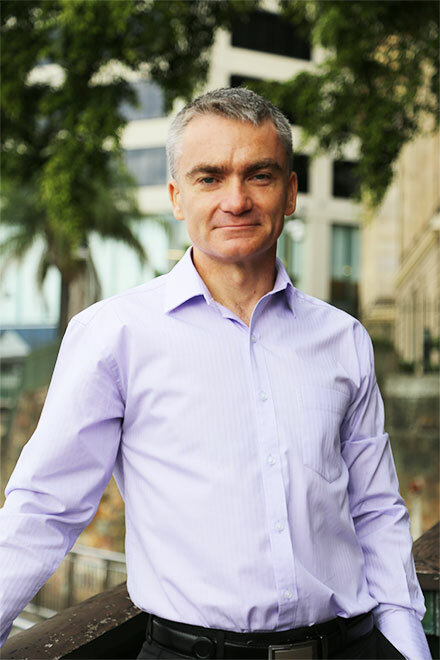 NIB’s head of corporate affairs Matthew Neat said his company was unable to comment on the specifics of Mr Mahoney’s case for privacy reasons but had been in direct contact with him. “We would ideally like all of our customers to take out our top level of cover to ensure they have peace of mind when it comes to treatment,” Mr Neat said. “We understand the emotional and financial distress that customers experience when they are not covered for a treatment they need. Mr Mahoney accepts that NIB was on solid legal ground. “But when a company is dealing with people there has to be an appreciation of the people you are dealing with … I believe companies have a moral obligation,” he said. With a doctor’s order for immediate surgery, Mr Mahoney has faced a difficult choice – both of which presented financial hardship for a self-employed mining industry consultant and sole family breadwinner. “To have open-heart surgery will mean that I am out of commission for somewhere up to three months. That will be crippling for us,” he said. Mr Mahoney asked his specialist if there were any other options and was told he could get robotic surgery at a private hospital in Melbourne. The recovery time was estimated at only three weeks. Mr Mahoney opted for immediate robotic surgery, believing, if all goes well, he could be back working quickly. However he faces a $37,000 bill and the cost could be much higher if the hospital does not accept the NIB contracted rate for his operation services, if hospital recovery takes longer, or if further surgery is needed. Mr Mahoney has launched an online petition, which he plans to present to NIB management explaining his health insurance concerns. It has attracted more than 23,000 signatures, and has prompted a number of donations. Attached to the petition at change.com is a video message from Mr Mahoney’s 10-year-old son Eddie: “My dad is someone who is really big in my life; I look up to him,” he said. Mr Mahoney said he was not looking for a handout. He plans to take out a second mortgage to cover costs if necessary. “We just want to say thank-you to those who have signed the petition,” he said. “If people donate, then that it is absolutely welcome, but it is not something I am calling for. Mr Mahoney said his parish was rallying around his family. “On Sunday morning, our parish priest Fr Frank Jones gave me an anointing, and people said, without exception, if there is anything they can do they would,” he said.